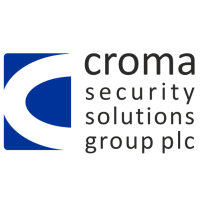 Croma Group is pleased to announce the delivery of an integrated security solution to a major industrial client in the Kingdom of Saudi Arabia. The solution involves CCTV, intruder alarms, locks, as well as access control based around the Group's Fastvein product. The contract value was in excess of £100,000. Commenting on this contract win, Sebastian Morley, Chairman of CSSG, said: "This exciting and large new contract marks a significant step in the Group's expansion into overseas markets. Fastvein provides the simplest, most accurate and fastest biometric access control, time and attendance and identification management system across the security spectrum. This new contract win, along with the wins announced earlier this month, continue to validate the Group's ability to deliver integrated security solutions at home and overseas as well as the considerable benefits of Fastvein." It has been 45 years since Croma Security Solutions Group PLC was founded as ‘County Locksmiths’, a small, family-run retail outlet in Shirley, Southampton.